The Haltom City police officers were trailing an alleged drunk driver. 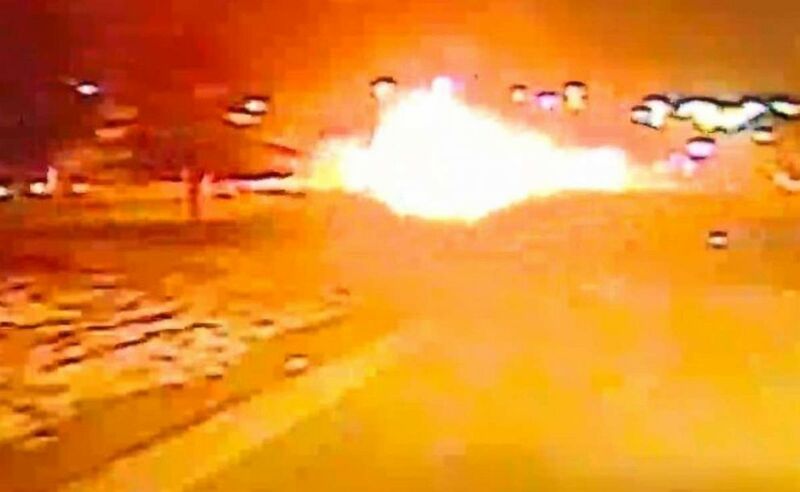 A woman in Texas has a group of determined police officers to thank for her life after an alleged drunk driver plowed into her vehicle and both exploded in a towering ball of fire. The police officers from Haltom City, a suburb northeast of Fort Worth, were pursuing a suspected drunk driver on Wednesday night when they say they lost track of the vehicle. But, as captured by the officers' dash cam, the vehicle re-emerged going southbound on Denton Highway. Moments later, the car, speeding through traffic, plowed into the rear end of a truck and burst into flames. (WFAA) A suspected drunk driver plowed into the back of a Dodge truck and exploded in a massive fireball on Denton Highway in Haltom City, Texas, on Wednesday, Jan. 16, 2019. "When you see the initial explosion, you think that there's nothing left of the car," Haltom City Sgt. Eric Peters told Dallas ABC affiliate WFAA. Both cars were left a tangled mess, with the woman's truck entirely consumed. "Can you get out? There's a person in here," a female officer, who is first to arrive on the scene, is heard saying on her body cam. 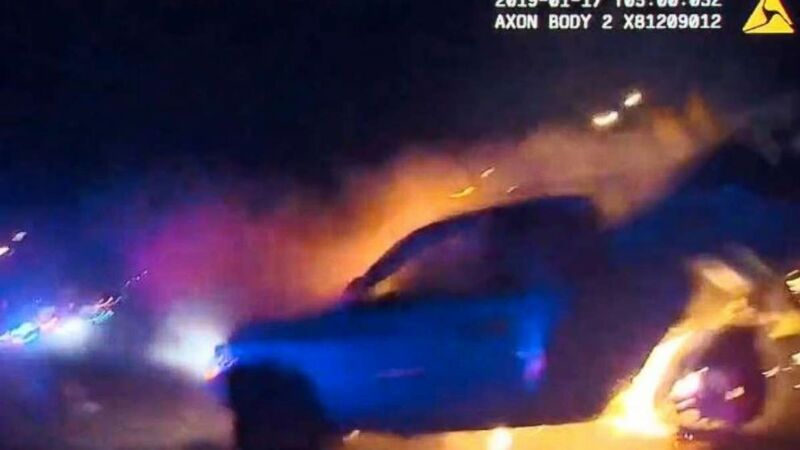 "We've got a Dodge fully engulfed in flames and [the suspect's] car." The officer tried unsuccessfully to break the window with her baton before eventually her and another officer were able to pull the injured woman out the window. "Get her, get her, get her. Come on, get through," she can be heard imploring the injured driver. "You're gonna burn up." (WFAA) A woman was pulled out of a burning truck in Haltom City, Texas, after being rear-ended by a suspected drunk driver on Wednesday, Jan. 16, 2019. Police said the woman was knocked unconscious in the crash and remained in the hospital Friday with non-life-threatening injuries. "It's extremely dangerous because that vehicle could have exploded at any time," said Peters. "For them to be up there trying to pull somebody out, that's what we get paid for, but that's what we do." The driver was not identified by police and he has yet to be charged. He also remains in the hospital with multiple broken bones. He was led off in handcuffs and is expected to recover.